Recently, Lynda (Stoy) Stear, Founder and Editor of Living Seasons Ministry, invited me to contribute an article about bullying to her website. 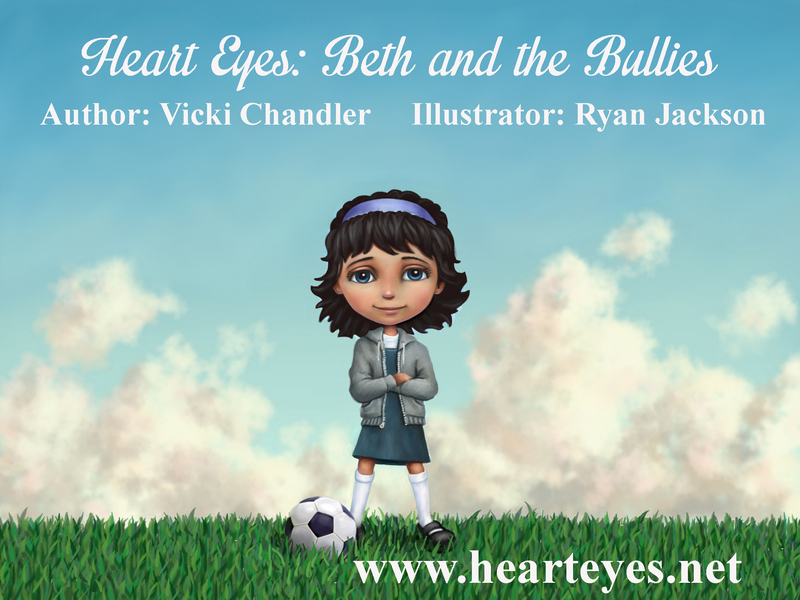 The article I shared tells the story about why I wrote the picture book Heart Eyes: Beth and the Bullies. Click on the link below to find my article. While you’re there, check out Lynda’s website. What’s your it? Another school year which means a more hectic schedule, behavior issues, and assignment pressures? A reoccurring trial that brings chaos, stress, and tears? An illness that interrupts life, drains energy, and causes uncertainty? Would it make a difference if the trial announced itself, “Look out. Here I come!”? Remember, ducking won’t help. So, “Heads up!” Shift your focus to God. I gotta admit, it’s not a typical reaction for me to turn my attention heavenward during a trial. That would require me taking my eyes off the problem. I usually assume full responsibility to solve or manage the situation. 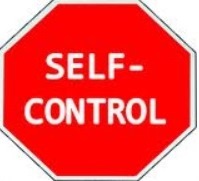 Shifting my focus to God would mean I’d have to relinquish MY control. We’d pass each other in the hall and whisper a quick prayer request. His two-sentence response became a sermon. His message reverberates in my mind whenever things get tough. Faced with the diagnosis of multiple sclerosis (MS), Al’s advice helped me cope. His godly advice taught me to have a right-focus during difficult times. It framed my thinking. I didn’t waste time dwelling on the diagnoses and details. I simply dealt with the pain, fatigue, and regular injections. All the while keeping my eyes on the Lord. It’s getting easier to get my eyes back on the Lord. It’s no longer my last-resort strategy. Faced with parental challenges, another friend provided much-needed Truth. The Creator of the universe, who spoke everything into existence, has my life under control. He’s working out His perfect plans. What about unbearable pain or unspeakable loss? That’s what Dave and Trish endured. Howie and I met them in college. The four of us shared a deep love of the Lord. So after graduation we kept in touch. The arrival of our first son came around the time of their first son, Ryan. When Ryan was two he drowned in their backyard pool. What could make that more horrifying? Trish’s parents and Dave’s parents had both experienced the death of a toddler when they were young parents. So the grandparents were grieving the loss of their grandson while re-living their own nightmare. In the hospital, minutes after Ryan died, Dave turned to his father for advice. “You talk about your faith. Now you’re gonna live it,” was all he said. Keep your eyes on the Lord. God’s still on the throne. Dave’s father’s advice helped him survive. Because God is the same yesterday, today, and forever. What He’s done for others, He’ll do for you. 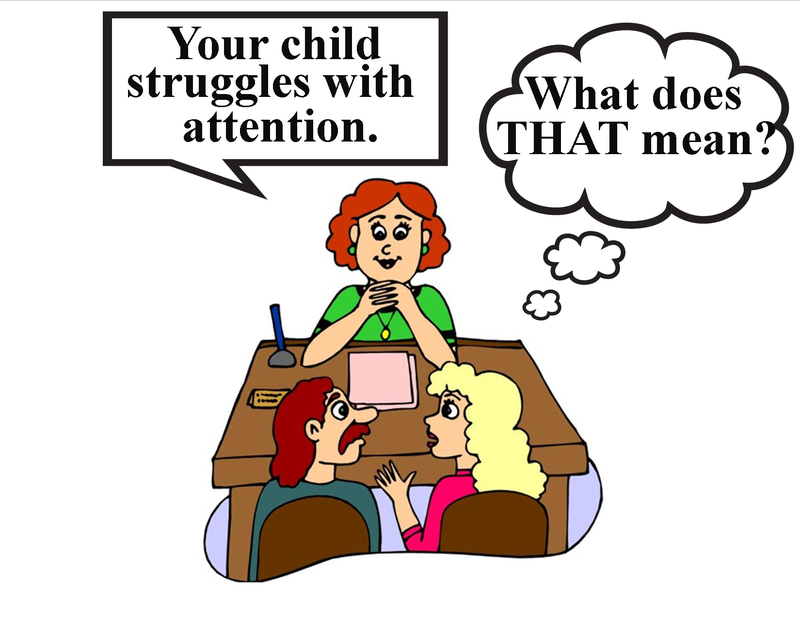 “Pay attention.” “You have poor self-control.” Students understand what you mean by those statements. Right? Maybe not. 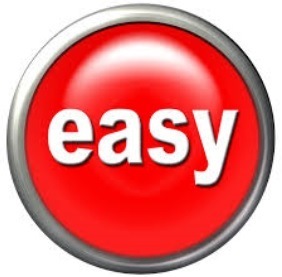 If students don’t clearly understand what you want them to do or stop doing, then how will they know how to comply? Here’s a story to illustrate. One day my fellow second grade teacher was absent. I knew that one of her students, Bruce, was difficult to manage. He had ADHD and often got into trouble. My heart was tender to students like him who had ADHD. He had a problem of skill not of will. Usually, he didn’t demonstrate willful misbehavior. He needed to learn skills to prevent impulsive misbehaviors. I told the substitute that when (not if) Bruce misbehaved she was to send him to me (in my next door classroom). Adults often assume young children know what we mean when we say common phrases. Bruce wasn’t being disrespectful. He obviously didn’t understand the concept of self-control. Bruce interrupted and began to tell me the story of when he trusted Jesus as his Savior. In his usual nonstop fashion, he related every detail – every day – every word. It was precious and genuine. “Oh I accepted the Lord as my Savior when I was five. In Sunday school they taught us about Jesus dying on the cross. He died for my sins. All I had to do was ask Him into my heart—to be my Savior. One night when my mom was putting me to bed I told her I wanted Jesus to be my Savior. I prayed and asked Him to come into my heart. Bruce just needed to know how to rely on the Holy Spirit to help him have more self-control. “How can I get that help?” inquired Bruce. We ended our conversation with a prayer. Soon after, I returned him to his class. The next day, the substitute reported how things were going. “How has Bruce been?” I asked. We all need to rely on the Holy Spirit to keep us from doing things we’ll regret.